If you are a Deadpool fan this class is for you. 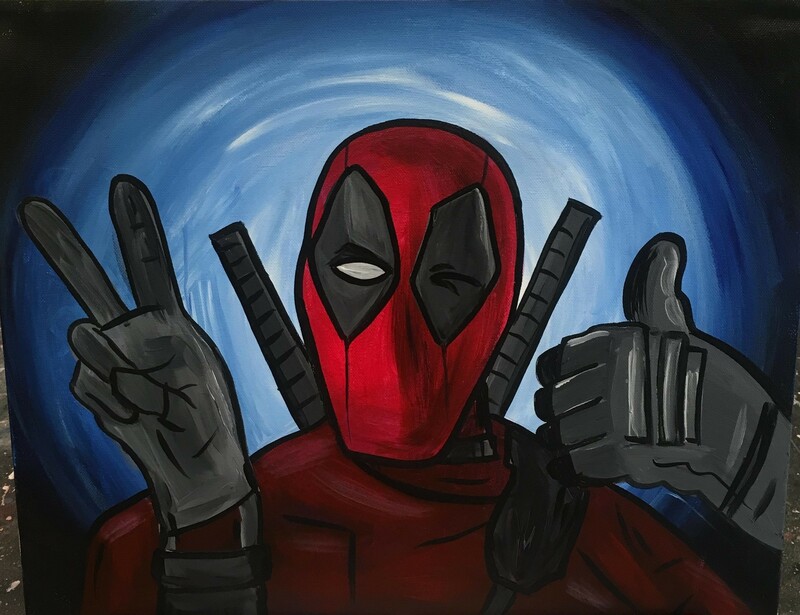 We have the rights to paint this genuine Deadpool image from 20th Century Fox for just this ONE NIGHT ONLY to help promote the 5/18/18 opening of Deadpool2, which we know is going to be epic. Join us for this unbelievable opportunity. Seating is limited so reserve your spot right away. THIS PAINTING IS EXCLUSIVE TO OUR STUDIO TONIGHT!